Hi hockey friends! The new season is just around the corner. I’m sure the staff and management of the Phantoms are hard at work preparing for the games. My recent Phantoms post, “Top 10 Reasons I’m Looking Forward To The Season,” should give you an idea about how excited I am about the second season of hockey in downtown Allentown. However, we all know that it could be better. And that’s what this post is all about. I’ve done these several times for the IronPigs, but I’ll reiterate for my hockey friends: This is not the “complaint department,” this is about making it better–because we love it. If we didn’t care, we wouldn’t bother to write, respond, comment and suggest. Also, if my IronPigs experience is any indication, this information does find its way back to the powers that be–one way or another. So help me out and we’ll think of some things for the Phantoms to work on. First, let’s try to make it realistic. “Free gold bars night” is not gonna make the cut, regardless, you know? Second, let’s try to keep it all in one place. Please use the comments section of this post, and I’ll make sure that all comments get approved quickly. Your email will not be published, and you can remain anonymous if you like. If the suggestions fan out into seven different Facebook threads, they might not get the attention they deserve. Third, if you’ve identified a problem, please try to propose a possible solution. Remember, we’re trying to make it better, not moan and complain. Finally, remember that some things are “Phantoms things” and some things are “arena things.” Certainly, they overlap with the Brooks Group in charge of everything, ultimately. However, try to keep in mind the controlling entity when making your suggestions. 1. On-time release of the promotions schedule. Unfortunately for the AHL, the game schedule can’t be finalized until sometime in mid- to late-August, due to the arena schedules and the NBA basketball schedules in some cities. However, the Phantoms have had a whole season to think up promotions, align sponsors, and the like. Once the AHL schedule comes out, they should be able to produce a preliminary promotions schedule within a month or so. If the game schedule comes out in mid-August, I’d like to see the first rendering of the promotions schedule in mid-September. Why do we need this? Well, individual hockey games are more important than individual baseball games, and fans plan their fall, winter, and early spring around these games, sometimes. 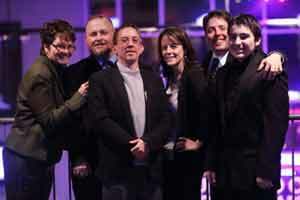 The schedule goes right through the holiday seasons, when parties and reunions need to be planned. How does this help the Phantoms? The group sales department can then sell the group nights a bit more efficiently, and the advertising department can then get to work aligning potential sponsors with the unclaimed nights–which can then be added later, if need be. Remember, I’m asking for a preliminary promotions schedule, not the final copy. 2. Improved communication, particularly with the Season Ticket Holders. Information was difficult to come by–and still is in some respects–for issues regarding the games, the tickets and the arena, particularly for Season Ticket Holders, last season. Emails were lost or deleted. Ticket reps were not able to handle the questions or distribute the information effectively, and fans were left in the lurch. “Seat Change Night” happened a couple times, and I only heard about it once–and that was after it was completed. I never had the opportunity to explore a change of my seat location–one that was chosen for me prior to the arena ever being built. The Phantoms Carnival was a wonderful event, but details about it and the date were not released until the last minute, and the mechanics of the autograph sessions were not evident until after the event for those who were interested in such. Twice I brought groups to the games last year, and the first time, it took several unanswered phone and email messages until I could get someone to take my credit card and sell me 50 tickets. That’s just not good. The second time, I made them take my card at the game–then when I picked up the tickets at will-call, they were in a different location than what I was originally told. I know they can do better, and I expect that they will. To me, the major solution is to empower the ticket reps to solve problems and address issues without having to run everything up the chain of command, where issues get lost, swept aside, or forgotten. 3. Parking. The parking issues are not really the Phantoms’ domain. First, it’s an arena-thing, and then it’s a parking authority thing. Most of us who go to multiple games have the system down pat. However, in only the second season, the Phantoms will still welcome a ton of fans this year who will be attending their first game. I think the Phantoms should step up and provide a rudimentary parking guide on their own, in addition to the basic information provided by the arena and the self-serving and ever-changing information provided by the Parking Authority. Look, I’m thrilled that my “where to park” post receives a buh-zillion hits every time there’s an event, but I don’t have access to all of the information, which changes, and I don’t get paid by the click (or at all, really.) This is a place where BOTH the Phantoms and the PPL Center Arena can do better. 4. Prices. This is an “Arena Thing” but the Phantoms can exert some pressure. As far as game ticket prices, the market will determine where they ultimately end up. The fees need to be reduced, but there are a lot of folks with their hands out on that one–most of us will find ways around paying the fees whenever we can, but the fact that the fees make the secondary market more attractive should be a concern to the Phantoms themselves. But mostly, concessions. I think the prices are a bit out of line, and once more people have been to the arena and the downtown, they will look elsewhere. It’s good for the downtown economy, of course, but having reasonable prices for concessions within the arena will make it more family-friendly, and keep the business “in house” instead of driving it to the downtown restaurants. There are layers of profit, here, too. Ovations gets a cut, then the arena, and then the Phantoms. Perhaps feature some specials each night or provide some discount coupons here and there to help out. How about a coupon book for season ticket holders? 6. Gear. It took the IronPigs a few years to figure this one out, but if the Phantoms want to make some money, they’ll listen to me. Do not underestimate the demand for quality, team-branded merchandise in the Lehigh Valley. A large selection of quality merchandise at the “team shop” will yield big bucks. I’ve been to multiple arenas and ball parks, and I’ve never seen as much “home team” gear as I have at Coca Cola Park and at the PPL Center Arena. Meet the demand, and don’t skimp on quality. I know it’s an investment, at some point, but you’ve got to have it to sell it. Fans will look for name brands such as Reebok/CCM and Under Armour and such–and they’ll pay for it. 7. Game Day Arena Staff. This is almost entirely an “arena thing” as far as I’m concerned. But, as I said above, the Phantoms have the power to exert influence on how the arena-management works. My biggest suggestion here, is to keep the same people in the same spots as much as possible. If the section-usher is always at the same section, he or she can identify regular fans as well as help the new ones, more effectively. Bartenders always at the same location and always working together, can be more efficient and sell more drinks. Regular fans get to see the same faces over and over and feel more comfortable and “at home.” For many of us, this is one thing we really appreciate over at the IronPigs. Even at the concessions, once a staff member becomes more comfortable, he or she can serve the guests better and work more quickly and efficiently. It’s a customer service issue. Randomly rotating staff for the heck of it is a bad idea. 8. Train the door security and tune the metal detectors. I’ve heard a bunch of complaints about the security to enter the arena. The thing is, it doesn’t seem to be consistent. One person scans everybody, and the next lets some through without scans. One detector misses my keys and my metal clip and the other flips out over a piece of an old gum wrapper. Clean it up. Security is a good idea, but it’s uneven and I’m not even sure how effective: It only took me one game to figure out how to circumvent the security–I’m not going to write it down, but a consultant or professional should be able to identify it easily as well. Make sure a supervisor is available at each entrance to deal with potential problems and oversee the staff. Be courteous and efficient. Scan everybody, but keep the lines moving–turf any problems or questions to the supervisor. 9. Consider opening the doors earlier. I’m not sure why I need to be in there more than an hour prior to the game, but the fact is, many many people are in line at the door before it opens. I know you’ll have to pay more staff-hours, but the money those folks spend inside the arena will probably pay for it. Finally, getting some folks in there earlier will relieve the pressure on the security (see above) to work quickly, efficiently, and consistently. 10. DON’T FORGET ABOUT THE HOCKEY GAME! So here you have a person who identifies himself as “a hockey fan” first and foremost, without even answering the original question. And, he’s never going back. I’ve heard similar stories elsewhere and in slightly different context, but the end point is the same. 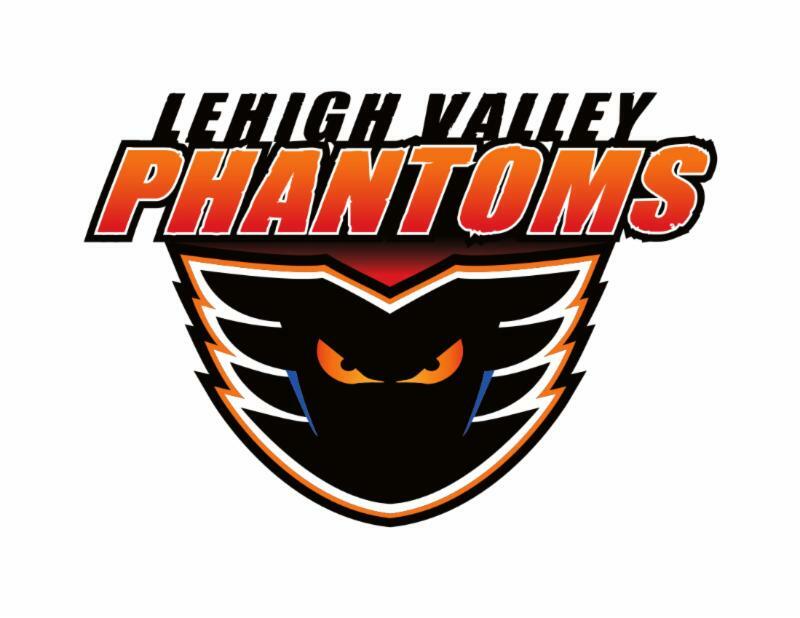 In their first season, I think the Phantoms did a poor job with the game-day experience for people who identify themselves as “hockey fans.” Perhaps they were catering too much to the “casual fan” in the Lehigh Valley in their first season. If there’s one thing we learned this past season, it’s that minor league hockey and minor league baseball are not the same. There are fewer games, and more die-hards on the hockey side, it seems. I don’t think you need to turn it into a circus every night. I’m not suggesting they get rid of Ben or the orange-suited hype team–just that they fine-tune how they use them and how much they are involved with and distracting from the GAME ON THE ICE. And, I will suggest that they not pay a “professional fan” thousands of dollars to jump about and give away T-Shirts on the big screen. Seriously. If you want crazy fans, they’re already there–have the orange-suited team guide them. You need a featured guy? Look, just find one at the bar at Chickie’s at 4:30PM on game day. Pick up his tab and he’ll do it for free. You wanna give a way shirts? Have the orange suites handle it. Cut it with the circus and and loud music every free moment. And keep in mind that I can’t see the ice when these shenanigans are happening in front of me. There are already plenty of crazy fans wearing orange masks or foxes on their heads, or whatever. Harness it; don’t add to it. Use the power of the big screen and the game-day team to teach the casual fans about the sport of hockey and the etiquette of the game, for the fans. Get meLVin involved. I think these folks are doing a good job, I’d just like to see our attention directed towards the ice as much as possible–where they play hockey–and not as much in the stands and on the big screens. Maybe spend more time talking about the players and the lineups–the standings and the schedule. Folks still need to know about the upcoming games and promos, and whether tickets are readily available or whether a game is getting ready to sell out. Again, I’m not really complaining about anyone personally–I just want them to ask themselves, “What does this have to do with hockey?” before scheduling between-action shenanigans. If the answer is “nothing,” then perhaps try to think of something else. I love watching the kiddos play hockey. I love watching meLVin do stuff on the ice. Heck, you could even come up with a “family friendly” version of the “ice girls” and have them skate out for the scrape. 11. Take advantage of the Phan Club. The fans who’ve put together the “Phan Club” have been hard at work, doing the right things to support the team. They can be your eyes and ears in the community, as well as “cheerleaders” for the team and the games. I don’t mean in the super-fan sense, although some could probably be convinced–but more like ambassadors for the fan experience. There are many ways this can help the team and the organization, and I’d hate to see the team turn on them, as the IronPigs once did, many moons ago. It’s a resource, and it’s mostly free. If the team is worried about a rogue organization with a bunch of loose cannons, just dedicate an employee to coordinate things and make sure the messages are accurate, and fix any potential mis-understandings. Having an “official” fan club (in lieu of a “booster club”) can be another way to put the emphasis on the hockey rather than on the circus. It can also be a way to widen the fan base both locally, and geographically. 12. Use the jersey auctions for “Phantoms Charities.” Oh, you thought they were? Not all of them. Some were more for “team profit.” No matter, I’m sure those who got the jerseys are still happy (myself included). However, it wasn’t always made completely clear to those of us who were bidding. See above under “communications” and “hunger for quality merchandise.” I did enjoy the live auctions, though, and as long as the auctioneer’s cut isn’t too high, it’s probably more effective (read: profitable) than the Qtego system the IronPigs now use, or the old “block the clipboard” methods of yesteryear. And I’m certainly in favor of having them several times per season. Just let us know where the money goes, if it’s not for your charity arm. 13. Improve Cell and Internet Service. Big cities usually have “repeaters” on top of the buildings, so that those down within the concrete canyons can receive cell and data service on their mobile devices. With the increase in traffic downtown and all of the new construction, better coverage is needed. The Phantoms and the Arena should lead the way. Now that people are heading downtown to eat, shop, and go to the museums and the arena, the capacity and availability need to be better: for business and for safety. Oh, I know, I shouldn’t be staring at my phone during the game–and I’ll try not to. I just want to be available for emergencies and not have my phone die because it’s struggling to connect. So that’s it. A bakers’ dozen from me. Please add your ideas and solutions to problems in the comment section below (rather than in 7 different Facebook threads). Please keep it civil and constructive. And I’ll…. There needs to be ushers at every section at every game. It seemed like we didn’t have an usher for the 2nd half of the season, so people would walk up while the game was going on… or they would stand at the rail and say “we’re not suppose to go to our seats until the game is stopped” when asked to move, YET THEY WERE STILL IN THE WAY! more video on the jumbotron. hockey is a fast sport, and i look up a lot to see replays, only to see the goofy fan madness in the stands. i see players looking up, too. if we’re not in the service of the game, why are we here? a shirt that isn’t orange would be nice. black, gray, white would all be welcome. maybe quarterly printed statements for Season Ticket Holders. i don’t know if these exist and I just don’t know where or how to access them? i could ask Chad. i would like to know where i stand with payments, rather than just an email a couple of days before they hit my credit card. cell phone charging stations like i’ve seen at every other arena i’ve been to. the cell companies all sponsor them, so this is a no cost suggestion. locate them near beer options and kill two birds with one stone. we bought club seats in part because of the waitress service. i am not kidding that we were asked if we wanted anything THREE TIMES last season. part of it is because the puck is in play, but i would think servers would want to make some money? this seems like a lost opportunity on all sides. an easier way to procure crab fries. 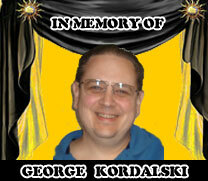 thinking of the counter service at wells fargo center and sovereign center. this way you can send the kids to get them on their own without having to belly up to the bar, which i am sure they can’t do. i will say from the group sales/scholastic side, they really have heard us and have addressed many of last season’s annoyances that will improve the experience for all involved! more excited for the 2nd season than i was for the 1st! Good stuff, Nina! I agree all around. I have club seats at the arena for SteelHawks, and the wait service was spotty: One game we were asked several times, with menus in the seats, and the next game not at all and no menus unless you went and asked. Excellent points Kram. I also would like to see the gates open earlier Ideally an hour and a half prior to game time. While you are correct in that you don’t need to be there that early I find traffic and parking is much easier at least an hour prior to game time. Staff is in place and folks are packed like sardines like 10 or 15 deep just waiting to give the team and arena their money. Free the people and let them spend their cash on concessions and souvenirs. Beyond the price of concessions I find the quality of food to be lacking. Chicken fingers are about the only thing that is appetizing to me. Its either the lousy food or the preparation. 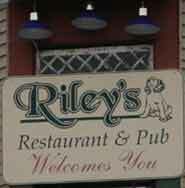 Perhaps bring in local establishments just like at the Philly Sports Complex. For Season Ticket Holders have an event where we get to tour the Phantoms facilities. They can rope off areas they do not want us to touch. Like a rope 5 feet from their lockers but let us see what goes on behind the scenes. The carnival is cool but doesn’t do much for me as a adult. As someone whose dream would be to play pro hockey let me see what it would be like. Invite Season Ticket Holders to watch a practice. I agree with all your points regarding game day audio and visual and catering 100% to casual family fans. I understand the need for it but it should be more like 70% passionate hockey fan oriented then 30% to entertain the family. IronPigs games I go to relax so its all good. Phantoms games I go to get fired up so chill out with all the distractions. Im a passionate fan of the game of hockey. Please don’t taint my experience with all the fun and games…its not necessary. The decibel level is often a bit too high and painful on the ears…particularly when the volume fluctuates. They need a legitimate real authentic hockey goal horn. No that recording and fake steam. 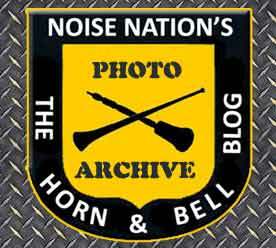 They need a cruise ship like fog horn you can feel in your core. Along with the sound system the owners need to learn where they can be cheap and where they need to spend money. And well actually when to listen to experts vs their own desires. Spectacor operates a bunch of arenas including the Wells Fargo Center. At Flyers games security and ushers perform flawlessly. Its the same company. PPL Center folks need to learn from them how it is done. Doing so would alleviate everyones concerns. Ahh, some more good stuff! I think the tour is something they could absolutely do. If they would do it before the season, then they wouldn’t have to worry about the security in the locker rooms. They wouldn’t even let us back there during the “open house” last season. I guess some of what I was trying to say in the original post was what you said above, better: The percentage of “hockey fans” is (way) higher for Phantoms than the percentage of hard-core baseball fans is for IronPigs. The Phantoms shouldn’t be afraid to cater to the market. “My only big gripe is the lack of control over people constantly getting up and down to leave/return to seats while the game is in progress. People need to use stoppages to move about the seating areas unless it’s an emergency. My biggest concern is lack of communication. Seat night change- we were never notified. Everything seems last minute when it is sent to us. My second is ( and I’m gonna sound like a princess here ) I want to be made to feel appreciated as a season ticket holder. I signed on for 5 years a year before the first season. You had me at “hockey”! Where are the perks? I would really like to see more replays. Not just the goals, but also the penalties. If you missed it, you have no idea why the calls are being made sometimes. The ticket management website NEVER loads on my phone or in Chrome. I cannot use it without headaches. Parking is not included in our season tickets, I kinda think it is for Flyers STH’s at the Wells Fargo. The food at the arena concession stands isn’t very good and is really expensive for what you’re getting. If you can get into Morning Call section, the food there is good, but not at the other places. The defrosted “soft” pretzels are the biggest rip off. Cell connection is bad. People Tweeting and posting from events is huge and Free advertisement! As for perks, we got the hockey sticks (I hope) when we signed our ticket contracts. We got preferred pricing and no fees. You got (I was 3-year) a day in the suite (with pretzels). We got special color tickets rather than the standard blue box office jobs. And you (5-year) got a name tag on your seat which didn’t stick. We got the Phantoms Carnival. We get some advance priority for other tickets at the arena. I think that’s it. But I do agree–it might not be enough for five years (I’ve since locked mine in for the five, mostly to keep the price from going up for the first three). Unfortunately, I don’t think there’s much to do about the parking, because the City of Allentown is grabbing the money there. Part of the problem with a downtown site. 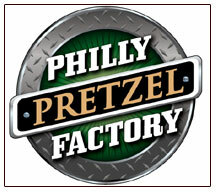 I’m a big fan of the official “Philly Pretzels” right down the street…. Good point about the cell stuff: They even ask us to post stuff online during the game (some would say not a hockey thing…) and yet many of us can’t get a signal. Phan Club is gearing up for the upcoming Phantoms Season! Want to make your experince and others around you better? Have ideas that you think will help the Phan Club grow? Come out and join the Phan Club and meet people who have the same desire (and love for hockey) as yourself! Join us on Monday August 17th at 7 PM @ Chickie’s and Petes to dicuss the committees and expectations of those committees. So come out and help the Phan Club! forgot one… another twitter account, one for “in game” tweets. keep the regular twitter feed for other news. comets/canucks do it this way and some other teams, too. they like and retweet each other’s stuff, but game updates on a separate account keeps the regular feed from blowing up. It would increase your fan base a lot, by using play-by-play (like when hockey is on TV). Unless a person really knows the game, he/she is lost at times with no commentary. Using the TV commentary would work fine. You mean like over the PA in the arena during the game? Could work, of course, but there’s also the ability to listen to the live radio call on FM 89.9 if you bring a cheap radio with headphones. Plus, that is volume you can control. It would be nice if the commentating you hear when you watch hockey on TV would also be done at the arena. Unless you really understand the game of hockey, a person is lost. For example, I understand the game of hockey, so it’s fine for me, but my wife has no intention on going along because she is lost. You would have a higher attendance if people understood the game better.